When pressure is reduced on certain types of crude oil, tiny bubbles of gas are encased in a thin film of oil when the gas comes out of solution. This may result in foam, or froth, being dispersed in the oil and creates what is known as “foaming” oil. 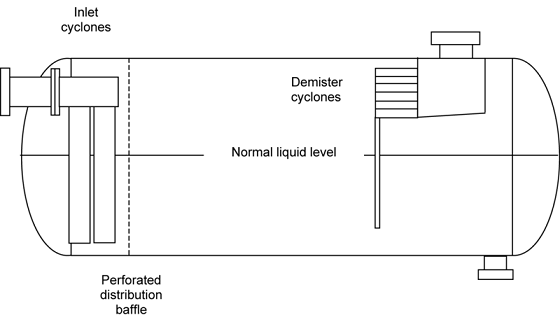 In other types of crude oil, the viscosity and surface tension of the oil may mechanically lock gas in the oil and can cause an effect similar to foam. Oil foam is not stable or long-lasting unless a foaming agent is present in the oil. Whether crude oil is foamy is not well known. The presence of a surface active agent and process conditions play a part. The literature indicates organic acids as being a foaming agent. High-gravity oils and condensates typically do not result in foaming situations, as described by Callaghan et al.